Don't miss the boat! Craig Hawes, the writer of ZOOM!, invites you to take the trip of a lifetime with "SPLASH!" - a great new musical comedy version of Noah's Ark - told from the animals' point of view! Preston Parrot is on a mission to save his animal friends from the greatest flood in history. But when no one believes his news, he resorts to a little deception and arranges a luxury cruise on board "The Ark!" 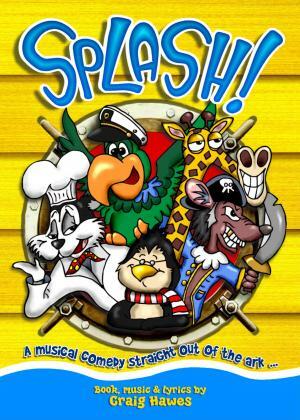 Aboard, you'll find a crew of colourful comic characters, including ballroom dancing giraffes, loopy lemmings, a band of brutal pirate rats and a love-sick French cat! The journey is overflowing with surprises - a rock and roll party, a kidnap, a storm and a rescue are just some of the twists and turns that make this show an adventure you'll never forget! "SPLASH!" combines a fun story, hilarious script and a superb score full of incredible songs to guarantee you a production that your cast and audience will love. 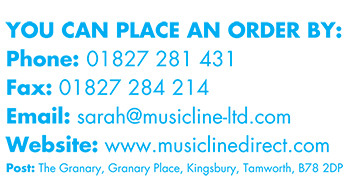 With parts for between 30 and 50 children plus unlimited chorus parts, this show will suit any size school or group.